Disclaimer: Ron Trent. There I’ve stated it. The man who has created some of the finest House Music since I fell in love with his sublime treatment of Braxton Holmes ‎- 12 Inches Of Pleasure way back in 1992 (Emotive/ Clubhouse Records). 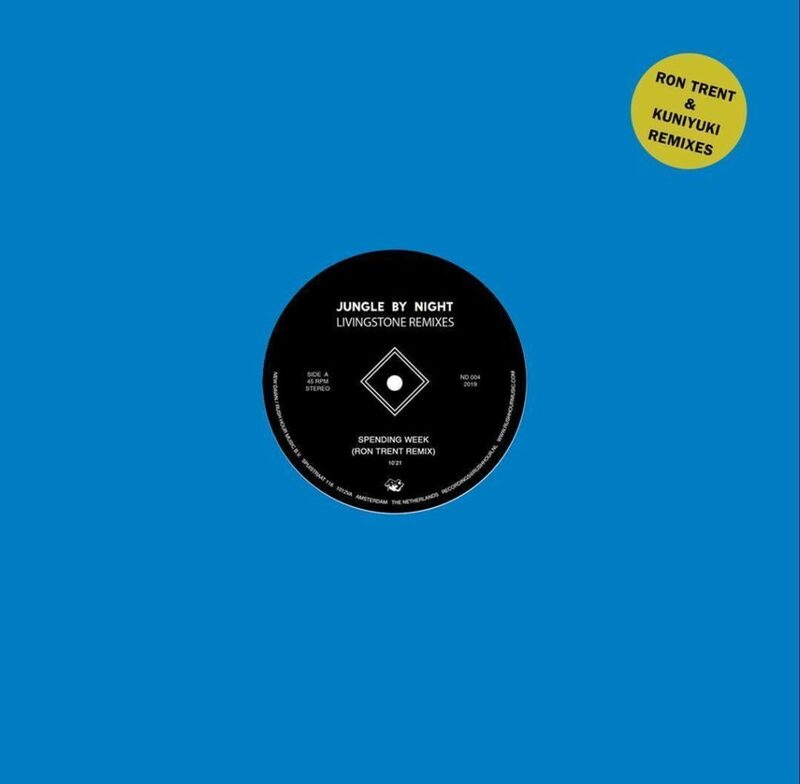 And who now interprets Jungle By Night’s ‘Spending Week’ with invested passion, producing soulfully realised music that tastes history and infuses the present with it. Lifted from the band’s fifth album: Livingstone this journey’s through notes of Jazz and Funk blending seamlessly across summer days and warm, breezy evening affairs like no tomorrow with robust horn blasts, vigorous drums and punchy eighties styled keys all working up a fever. Japan’s Kuniyuki is up next reworking, Loveboat with a wash of chiming funkiness that tingles with melody and positively pulsates via trumpet and finely-tuned drum machines. Jungle By Night are set to play Earth, Hackney on Friday 12th April. Be quick.